Dare to bare all with Earthly Body's body-friendly shaving cream and oil. 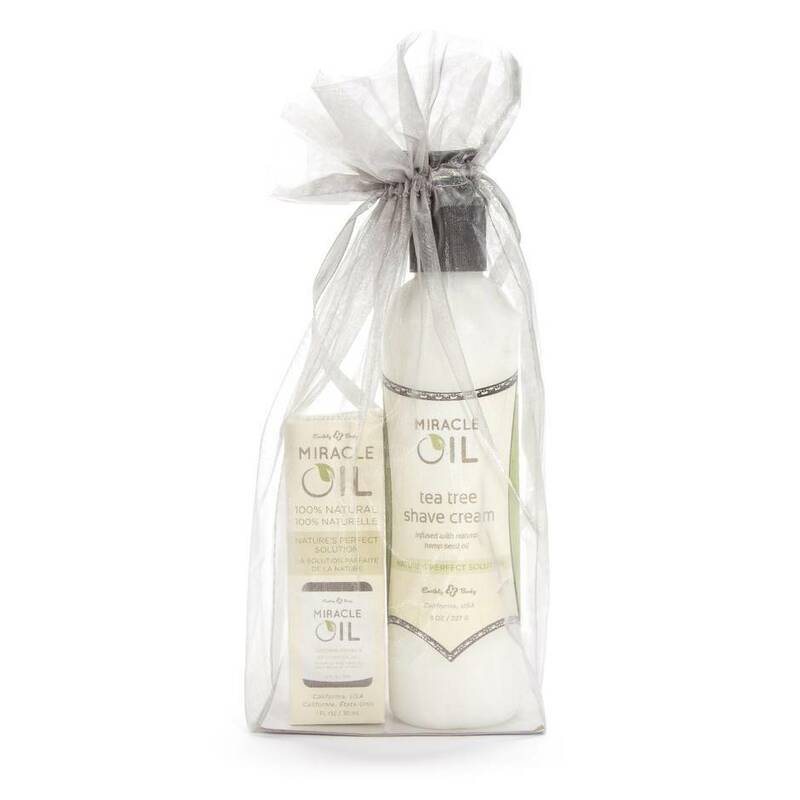 Achieve a close shave minus irritation of your most intimate areas with the nourishing cream and care for your skin post-shave with the Miracle Oil. In a neutral fragrance. Order over the phone: Call 0333 103 6969 and quote code 23979. Dare to be Bare is the natural answer to shaving bumps and waxing irritation. The Shave Cream softens hair and conditions skin, protecting from rashes and bumps and the Miracle Oil soothes your shaved areas to prevent post-shaving irritation and to soothe the skin. Ever since I started shaving about 10 years ago I have been a chronic sufferer of shaving rash. So much so that I pretty much gave up shaving for a lot of years. Alas I found myself in a relationship with a man that doesn't particularly like giving oral to a bush (although to give him credit he did soldier through it a few wonderful times!). So I begun on yet another journey through products and aisles and aisles and products of 'wonder creams' and 'magic ointments', my wallet getting forever slimmer, but still the lumps and bumps remained. I returned to my favourite website to see what they had on offer to cure my ailment. 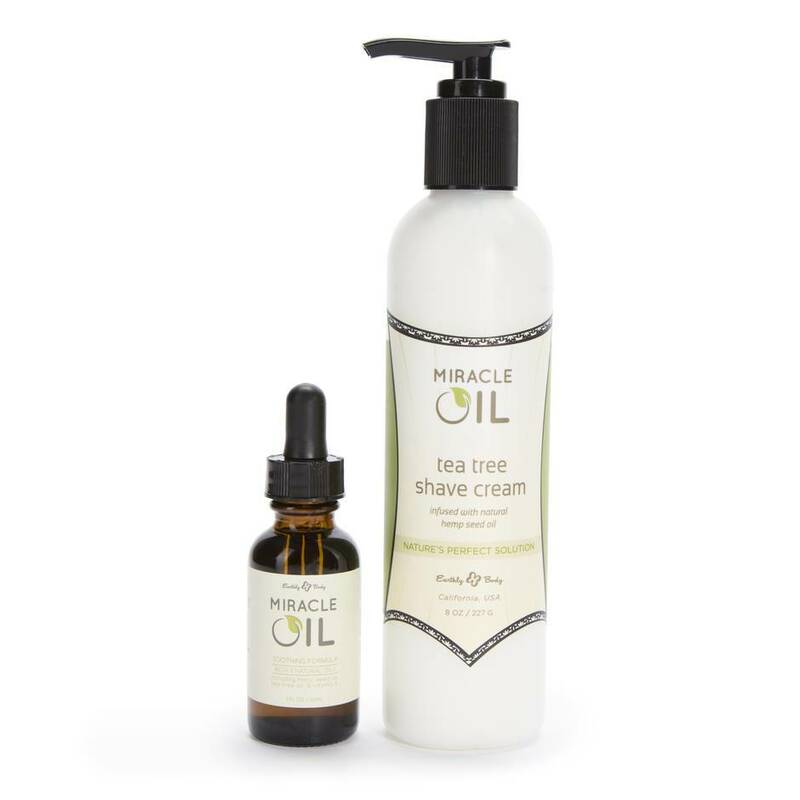 I stumbled across 'Miracle Oil' - I have to admit I added it to my cart with the same trepidation I had many times previously, expecting that yet again I had wasted my hard-earned cash on another wonderful example of false advertisement and misleading proclamation. I entered the shower, new razor in hand, and began the now familiar task of turning my beaver into a shining example of smoothness. I applied the shaving cream with lavish intent and began. Once I had my shining example of smoothness ready, I referred to 'step 2' - the oil. I have to admit I covered myself in so much of this stuff I probably used about 10x the necessary amount, but I was determined that this time it would work. Once finished, I dressed (in loose clothing - I was giving it the best possible chance!) and continued my day as usual. Day 2: Nothing! Nada! Zilch! No lumps, no unattractive spots, no bumps. I was f*****g astonished! I really cannot stress enough how many products I have gone through trying to find something, anything that might work. It has taken me a week to write this review now, because every time I use it I am still waiting for it to fail. It is an absolute wonder product! Not only does it do exactly what it says on the tin, but it also smells great - which to be fair I couldn't care less about because IT ACTUALLY WORKS! I cannot recommend a product anymore than I wholeheartedly recommend this product. It is absolutely the most amazing thing I have ever put near my lady garden. I have used lots of different products before over the years and have very sensitive skin this is by far the best product I've ever used. It leaves no redness and no irritation and it does not dry the skin out. It lasts a very long time and smells great! Absolutely smells fantastic and leaves you feeling so smooth. I’ve used lots of different products over the years. I suffer from a few ingrown hairs which can be a bit of pain sometimes because let's be honest we’ve all been there. They don’t look great. I now use a bit of this product under my arms and on my pubic area and find it really does help. Over 24 hours all redness and irritation went for me. It does not dry the skin out like tea tree oil alone does, so I’m happy about that also. The bottle lasts a very long time and smells great as well as doing its job! The shaving foam, however, I’m not really fussed about as I don’t really shave that much now as I usually wax or use removal cream. I just thought it was value for money and saved me going to boots if I needed some. I’ve used it twice for my legs. I wouldn’t say there’s a noticeable difference. It smells really nice and makes the razor glide very, very easily, but I wouldn’t say it’s anything different from a normal shaving foam. That being said, I think this is really great set. Shaving foam is expensive anyway and the oil is an absolute godsend. Can’t recommend it enough! Oil is the best thing since sliced bread.